When the son of a successful judge is killed by two police officers and the system sets them free, a hardened veteran detective finds some incriminating files on the officers and the judge teams up with another mourning father to take the law into their own hands. 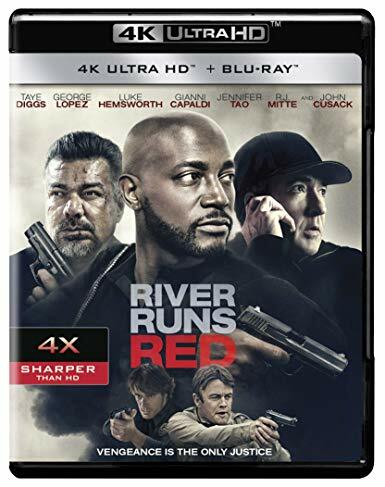 On December 11th, RIVER RUNS RED releases onto Blu-ray and Ultra HD Blu-ray 4K. The film was written and directed by Wes Miller and stars Taye Diggs, George Lopez and John Cusack among others. Michael Madison reviews RIVER RUNS RED on 4k Ultra HD from Cinedigm. This week's Blu-ray releases for December 11th, 2018.